My non-linear brain prefers to answer these in a random “what appeals to me today” order, some repetition may ensue. Possibly, but it’s hard to tell for sure (let alone legally prove!) since my disabilities are hidden/invisible. I do tend to strategically reveal them to employers *after* they have hired me, (often after scoping things out, and possibly allying with a co-worker who has a learning disability, or a kid with one) but before some social, emotional or sensory issues pop up that might endanger my job if I don’t develop a strategy to cope with them. I often figure out these strategies and coping mechanisms on my own, without consulting with anyone, but my ability to do so may depend on the structure and expectations of the job, and how flexible and open-minded the supervisor and co-workers are willing to be. I’ve felt rather annoyed with the conventional disability services complex because the professional helpers seem to have this naive faith that the ADA- Americans with Disabilities Act will always magically protect you from discrimination, and you should just go ahead and reveal your disabilities. I think this is due to shortcomings and assumptions from how they are trained, and professionals who actually are familiar with Asperger’s and ADHD are far more helpful. With more generic disability professionals, I end up spending as much- or more time educating them about my disabilities than actually getting relevant help and suggestions from them. 18) Have you experienced preferential treatment because of disabilities? —By preferential treatment, I mean situations where you were treated better or differently from your peers even though there was no valid reason. I’ve gotten the condescending kindergarten teacher voice from people- and being treated as if I were “slow” after people found out about my label(s) or picked up that I was a little “different” or “special”. I wouldn’t consider any of that preferential! Honestly, if there were more companies that practiced active recruiting of people with disabilities- and didn’t limit that definition to only certain conditions (as the federal government does) I think that would be fantastic. I know that doesn’t fit with the mainstream disability rights movement’s “we want to blend in and be treated like everyone else” agenda and raises the oh-so-scary specter of affirmative action that makes middle class white people run away screaming, but I don’t really care. Their strategies haven’t been working very well, its time we tried something else. 14: Have you ever experienced stigma? Yes- mostly from people making cluelessly insensitive comments in front of me about autism and mental illness, often while not realizing I have either such experience. Sometimes I challenge them while staying “in the closet”, sometimes I come out if it feels safe and appropriate to do so. Often it’s a “Eeeww, I don’t want to be associated with Those Crazy People!”. Maybe this relates more to the pseudo-preferential treatment discussed above, but I’ve especially noticed this stigma when mentioning my past seizures/epilepsy. Sometimes with mere mortals, sometimes with doctors and other Experts ™ who should “know better”. I’ve gotten “back away slowly before she explodes!” style reactions, being treated like I’m a porcelain doll, need to be told what I’m capable of doing and how to take care of myself and “Oh, you poor dear, there but for the grace of God/the Universe go I” and other crap. This is very similar to a lot of the complaints I’ve heard my friends with more visually apparent physical disabilities talk about how they’ve been treated, and I’ve also witnessed some of that nonsense myself while around folks with physical disabilities. What is your experience with disability? — Do you have disabilities? Do you have loved ones who live with disabilities? Do you work with people who have disabilities? If you have a medical diagnosis, do you see yourself as having a disability? Why or why not? If you don’t have one, how do you view the concept of disability or the people in your life who have them? — I’m trying to be as broad as I can with this set of questions. I know that people have different ideas of what “disability” means and I want to give room for that discussion. Presumably, if you are taking part in this challenge, you either have a medical diagnosis that is typically regarded as a “disability” or you know someone who does. What have your experiences been with medical treatment and/or therapy been like? Do you have positive, negative, or mixed feelings about your experiences? Do you think that it’s more important to emphasize medical treatment, life skills, community integration, or a combination of these things? Are your activities of daily living affected by disability? If you’re comfortable, share a little of your daily routine. Is your work or school life affected by disability? Describe some of these challenges. Is your family life affected by disability? In what ways? Are your leisure activities or hobbies affected by disability? How do you work around this? Does disability affect you in other ways? If so, how? Free post day! — Write about anything on your mind today. Any topic that the series doesn’t cover, anything going on in your life related to disability, something you’re excited for, something you’re frustrated about. Describe a good day in relation to the ways your life is affected by disability. Describe your baseline, or an average day. What are the biggest challenges that you face in regard to disability? What do you think are the biggest challenges that your family members face in regard to disability? Have you experienced discrimination because of disabilities? Discrimination comes in many forms, from refusal to employ or accommodate a person with a disability to treating that person with disrespect because of it. Have you experienced preferential treatment because of disabilities? —By preferential treatment, I mean situations where you were treated better or differently from your peers even though there was no valid reason. In what other ways are your interpersonal relationships affected by disabilities? — Examples might be that it’s harder for you to form or maintain relationships or that people treat you differently once they realize you have a disability. Do you have preferred language when it comes to disability? — There is a lot of debate about appropriate language and definitions of disability. Since there’s no widespread agreement, I want to hear as many views as possible. What would you tell someone who has recently been diagnosed with your disabilities or disabilities that you are familiar with? What would you like the general public to know about your disabilities, disability in general, or any other relevant subject? If you could “cure” the disabilities that affect your life, would you? Why or why not? What things are most important to you when it comes to media representation for people with disabilities or your disability in particular? Do you or someone you know use adaptive equipment/adaptive technology and how does that affect your life? Are there ways that disability affects your self perception? — Ideas for this might be self-esteem, confidence, body image, future plans, etc. Do you see disability as more of an asset or a drawback in your daily life? At what age were you or your loved ones diagnosed? How has your life changed as a result of that diagnosis? How has public perception of disability changed in your lifetime? How has medical treatment and technology changed in your life time? Have recent advancements in medicine or technology had any affect on the way you manage your disability? How would you like to see the medical community change in the future? Are you involved in any political or social activities related to having a disability? This could be anything from an advocacy group to an informal social gathering to participation in adaptive sports. 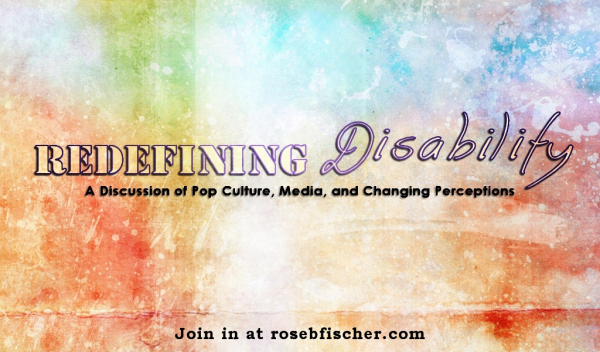 Why do you think media representation for people with disabilities is important? What would you change about the way your country or region reacts to disability at a political level? In what ways does the educational system in your country accommodate students with disabilities or your disability in particular? How can such accommodations be improved? If you could change one thing about the way that disability is perceived in your culture, what would it be? Are you involved in any groups or subcultures where perception of your disability is relevant? — Examples might be religious groups, sports teams, a racial or ethnic group that perceives or reacts to disability differently from the “main” culture you belong to. What is the worst experience you’ve ever had related to disability? What is the best experience you’ve ever had related to disability? What other questions or topics that this challenge include? The last two prompts will be free post days, so feel free to include answers to some of them. 2 How do you feel about your diagnosis? 3 What treatment or coping skills are most effective for you? 4 What are the pros and cons of having a mental illness(es) or your specific illness(es)? 5 Do you believe nature (biology/physiology), nurture(environment), a mix, or something else has an impact on mental health? 6: Do you have a family history of mental illness or mental health issues? 7 Do you think there are any triggers or patterns to how your illness(es) effects you? 10 What is the best thing in regards to your mental illness(es)? 11 What is the worst thing in regard to your mental illness(es)? 13: If you know the criteria of your illness(es) which ones do you think you meet? Or what are your most common symptoms? 16- How many people are you “out” to with your mental illness(es)? Why? 17: If you could get rid of your mental illness(es) would you? Why or why not? 18: What do you wish people would understand in regards to mental illness and/or mental health? 19: Have you ever read a self-help book or a book related to psychology? What is your opinion on them? If you have read them do you have a favorite? 20: Where do you get your support? 21: Many people say stress triggers symptoms, do you agree or disagree? 22: What is your opinion on medication used to treat mental illness(es)? 25 What is your opinion on forced/coercion in mental health treatment? Can be legal (law enforcement or psychiatric holds) or a “helping” friend/family member. 26: How is your day-to-day life effected by your mental illness(es)? 27 Explain a “good” day. 28 Explain a “bad” day. 29 What are a few of your goals regarding your mental health. 30 What does recovery mean to you?